New York – President Obama delivered his speech to the United Nations General Assembly Thursday in New York and it focused largely on his desire to see the Middle East peace process proceed ahead despite all the difficulties. Mr. Obama stated that he wanted it to succeed in accomplishing the peace that has eluded the Arabs and the Israelis for over 60 years. Realizing that there are many obstacles and hurdles ahead during tough negotiations for diplomats from both sides, he stated his concerns and his hopes for the road ahead. “If we do, when we come back here next year, we can have an agreement that will lead to a new member of the United Nations – an independent, sovereign state of Palestine, living in peace with Israel,” Obama said to a loud applause by the delegates of all the countries at the United Nations. In order for this to happen, the Arabs must first recognize Israel’s right to exist and the right of the Jewish people to claim specifically a part of the Holy Land as theirs. I know, it sounds so basic and a no- brainer. But surprisingly a large portion of the Arab world does not believe in Israel’s right to exist and specifically their right to exist in the southern Levant area which makes up the majority of the area for present day Israel. They want to ignore history and all the Biblical and historical evidence of Jewish settlement and claims to the land. They point to the migration of many Jews all over the world the last few hundred years as reason enough as to why they no longer can call Israel home. Some Arabs demand that the Jewish homeland should be in Germany. After all, they claim, it is where so many of them were killed by Hitler and the main reason that precipitated the need to allow the Zionists of Europe and America, post World War II, to demand a home for the Jews. Why should the Palestinians pay for the crimes of the Europeans they argue? Quite simply, no other place makes any sense whatsoever. First of all, there is extensive mentioning of the land of Israel that is promised to the Jews in the Bible as well as the Hebrew texts, not to mention the Qur’an. All three identify geographic areas in present day Israel that has historically been identified as the homeland of the Jews. Jewish people do not even make up more than 1% of any country’s overall population other than in United States (2.2% of overall population), Canada (1.2% of population), France (1% of population) and Israel (75% of population). That means that for the rest of the world, each country’s Jewish population is not even one half of one percent of the overall population of that nation! Where else would the Arabs have them go? Certainly not Germany where many claim that they should be settled since that is where over 6 million of them were killed in the holocaust. The United States actually has more Jews in its boundaries than are currently residing in all of Israel. So they cannot very well say that they should go there as over half the population already lives here. Most people do not realize that the Jewish population of the world is very small compared to Christianity or Islam. 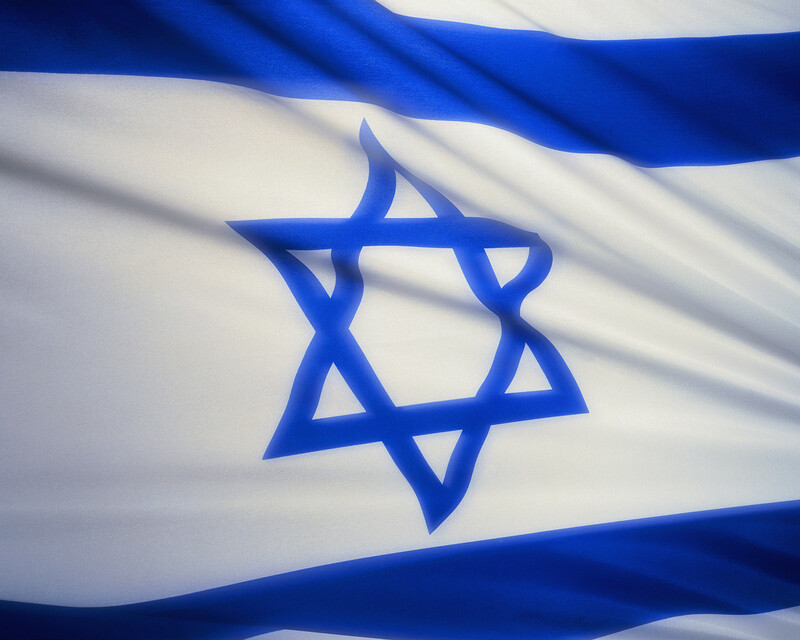 There are an estimated 15 million Jews around the world including in Israel. By comparison, there are over 2.1 billion Christians and nearly 1.5 billion Muslims. Nearly 105 countries of the world are majority Christian nations while there are perhaps at best 55 majority Muslim countries on the planet. Did you ever wonder how many majority Jewish countries of the world are there? There is just one. Israel. This is one of the great religions of the world and also one of the oldest monotheistic beliefs aside from Zoroastrianism, and came at a time when polytheistic beliefs were more prevalent as a human concept of divinity. No doubt, both Christianity and Islam owe a great deal of their religious thoughts and laws to the early Hebrew laws and traditions. In fact, large parts of both the Bible and the Qur’an constitute the Old Testament, also known as the Torah, the Jewish holy book and the scriptures revealed to Moses. Jewish contributions to humanity have been disproportionate and staggering when one realizes that as less than one half of one percent of the world’s populations, the Jews have made immense advances in nearly every field that has benefitted the whole world. We can go from Albert Einstein’s advances in physics to Jonas Salk’s polio vaccine, discuss Galileo’s contributions in astronomy to Freud’s understanding of the mind. We could illustrate how Baruch Spinoza’s rationalist ideas and philosophies laid the groundwork for The Enlightenment of the 18 century or marvel at the brilliant filmmaking of 21st century Jews like Steven Spielberg and Oliver Stone. The list of Jewish contributions and the value of their culture to man’s history cannot be ignored. What also cannot be ignored is that historically these are a persecuted people. The troubles that they faced in ancient Egypt as illustrated in the Bible as well as the deaths and expulsions during the Spanish Inquisition are part of their sad history. They faced persecution at the hands of both Christians and Muslims during the Crusades and at the time of the Papal States as well as during Muslim rule when they were subjected to the jizya (a per capita tax imposed on free adult non-Muslim males). The worst crimes nonetheless happened in the 20th century leading up to World War II when millions were killed in the Holocaust in Germany by Hitler’s Nazism and by Stalinist Russia. So as the Israelis and Palestinians, as well as the other Arab countries, sit down over the next couple of weeks to resolve once and for all the Middle East conflict, the Arab street and indeed the entire Muslim world, must come to a realization and acceptance of the fact that the state of Israel has a right to exist; and has a right to exist in this ancient land as much as the Palestinians, who also have the rights to parts of this holy soil that is so important to all three religions. No doubt, historically and Biblically, the Palestinians can make similar claims also. Except, in Israel’s case, there is no other nation for the Jews, whereas, there are 55 others for Muslims. It is only with this undeniable understanding that true and lasting peace will ever be achieved and it can clear the way for a two state solution that President Obama envisions and one that will allow the normalization of relations between Israel, the Arab and the entire Muslim world. As perhaps the most famous Jew of all time, Jesus, once said, “Greet ye one another with a kiss of charity and may peace be with you.” Indeed, Shalom and Salaam equal peace and that can finally be achieved once there is mutual respect and acceptance of the right of the other to exist. –Manzer Munir, a proud Pakistani American and peace activist, looks forward to a day when there will be peace between Israel and all the Muslim countries of the world, including Pakistan. He is the founder of Pakistanis for Peace and blogs at www.PakistanisforPeace.com as well at other websites as a free lance journalist and writer. Click on the Link Below and Join Our Facebook Page and our Facebook Group to Stand Up for Peace and Speak Up against Violence and Extremism! Join Pakistanis for Peace on Facebook!